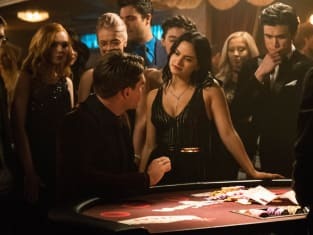 Laurie Lake betrayed Archie's trust, Veronica ran a casino night at La Bonne Nuit, and Betty discovered the Sisters of Quiet Mercy drugged their patients with Fizzle Rocks on Riverdale Season 3 Episode 7. Below, TV Fanatics Brandon Vieira, Kat Pettibone, and Becca Newton debate the decimation of Athens, Ethel's animosity towards Betty, and Archie spilling the truth to Laurie. Archie revealed his true identity and the person who was hunting him to Laurie. Why do you think he came clean to her? Brandon: Archie has spent so much time locked away, and even in juvie, he was desperately looking for an ally. I think at the farm those feelings of loneliness were resurfacing and he was just looking to confide in someone. He was looking for someone he could trust outside of his social circle. 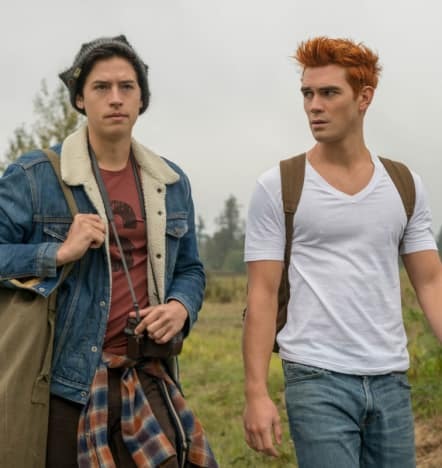 Archie's war with Hiram has led to Archie not being able to trust strangers anymore. 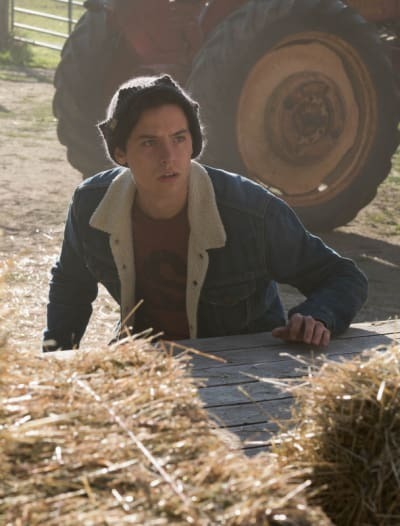 Archie thought that being in Athens, somewhere far away from Riverdale, he was free to be the open, carefree person he used to be before Hiram. Unfortunately, Laurie ended up being in Hiram's pocket, which means Archie's once naive and innocent look at life has been diminished even further. Kat: I grapple with this because the episode was very strange for me. Archie felt very out of character. Maybe not out of character, per se, but pushed so far into one aspect of his characterization that he became a caricature of himself. 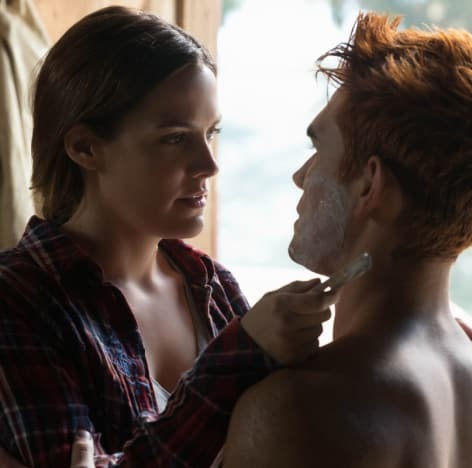 I know Archie is supposed to be trusting, but it was too much. There was no motive for him to be that open with Laurie. After everything he's been through in prison, would he really be that happy go lucky? Unless he was secretly on Fizzle Rocks, I didn't buy it. I guess the answer is "that's just Archie!" Archie Andrews or not, this is supposed to be a real three-dimensional person. And he was totally one note here. Becca: Even though Archie (eventually) decided not to take things further with Laurie, he still wanted her to like him, and continuing to lie wasn't going to help on that front. There's also the factor of Laurie's questions and comments, especially the one about not losing yourself, really striking a nerve. Coming clean was his way of saying he knows who he is, and he's no longer going to let Hiram take his identity away. We saw the quiet town of Athens decimated due to the board game and the Gargoyle King. What were your first thoughts after discovering the reason for the town's demise? Brandon: It piqued my interest for sure. Most of Riverdale's mysteries are exclusive to Riverdale, but the Gargoyle King seems to be something much bigger than we could've ever predicted. How on the earth the Riverdale gang is going to be able to stop him is beyond me because his/her power is clearly way bigger, and on a much larger scale, than they have ever faced before. 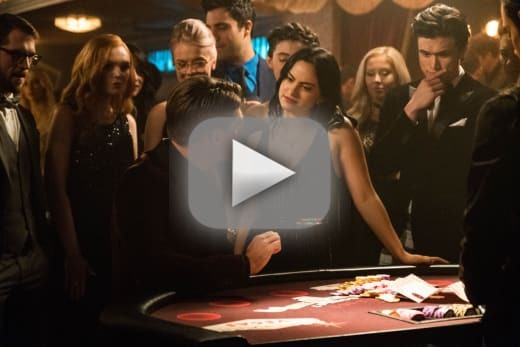 Kat: Everything is always connected in Riverdale, even if it doesn't make sense, so I wasn't surprised that G&G/Hiram had something to do with Athens' crumbling. I'm more interested in the why of it all. Why is Hiram doing this? What is his motive, exactly? To be a drug lord? Destroying towns seem like a lot of effort just to be deep into the drug game. 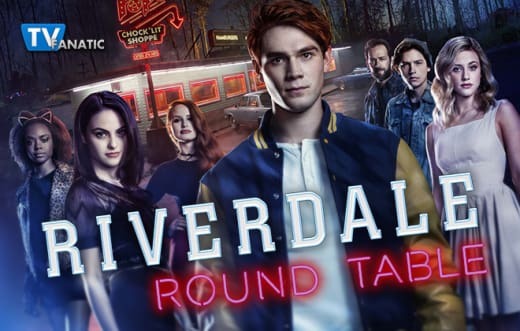 Becca: "Is Riverdale worth fighting for?" is a question I've asked myself a lot while watching Riverdale. There have been plenty of times when I thought the characters would be better off if they left town and never looked back. Seeing Athens reduced to a Hiram Lodge ghost town made me realize I don't want to see the same thing happen to Riverdale. Elio turned on Veronica during casino night to steal her money. How do you feel about his sudden betrayal? Brandon: I'm not surprised in the slightest. There's no loyalty among the rich. There's a reason Veronica's been able to click with her group of friends at Riverdale in a way she never had with friends in New York. Betty, Kevin, Archie, and even Reggie have been more loyal to her than anyone in her previous life ever was. Veronica was merely a pawn of Elio's game, but our favorite rich girl ended up playing him. Kat: I was disappointed. I see Elio as a male Veronica. Veronica may dance on the line, but she never really crosses it. Not in a way where her motives are conveyed as truly evil or selfish. I thought Elio would be something similar. To reveal himself as just a gambling addict swindler? I think they could have done more with his character, but I suppose it makes sense. He is from a mob family and he does run a casino. Seemed like a plot point to keep Veronica busy and give Hiram complexity more than all else. Becca: More than anything else, I'm upset about how Elio's betrayal was used to make Veronica run straight back to Hiram for help and even convinced her to think Hiram may not be so bad of a guy after all. It completely undermines Veronica's character. A mutilated body was discovered in the lake. Do you think it was Sheriff Minetta? Brandon: That seems very likely, mainly because of two theories I have right now. If the Gargoyle King ends up being Hiram (the more predictable route) it would make sense for him to off Minetta. The sheriff hasn't been able to get rid of Archie despite multiple attempts. Perhaps he failed Hiram one too many times. My second theory is that the Gargoyle King is actually Tom Keller, and offing Minetta could mean him getting his sheriff office back. Imagine if he could get the entire police station to believe in the Gargoyle King? He would be unstoppable. Related: Riverdale Midseason Finale Preview Photos: See Gina Gershon as Gladys Jones! Kat: I won't believe it until I see it. I'm not sure there was much more to be done with Minetta as a character, and it would make sense for Hiram to off the guy who blew his cover. But at the same time, Riverdale loves big, dramatic reveals where characters make "surprising" returns. So, we shall see! Becca: A report of death for a TV character based solely on someone's say-so should always be viewed with skepticism. However, I am less confident about Minetta being alive than I was with Mad Dog. Mad Dog being alive presented a lot of narrative opportunities. I can't say the same for Minetta. Ethel had an animosity against Betty and really enjoyed turning against her. Why do you think she has this rivalry? Brandon: Before the Gargoyle King, Ethel Muggs has always been a bit of an outcast, whereas Betty is the prototype of a perfect teenager. She's well-liked but not super popular, pretty and an A+ valedictorian type. For the first time in her life, Ethel is the so-called Queen Bee or at least that's what the Gargoyle King is telling her. Betty is someone she sees as a threat to her crown. 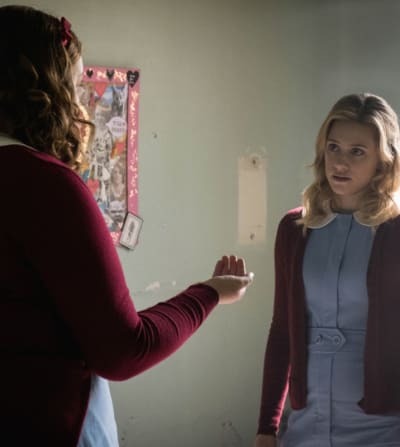 Betty already has Jughead (the man Ethel wants) and if Betty were to dig any deeper into the Gargoyle King, she might have taken the one thing away that makes Ethel feel special. Kat: I think it's all rooted in Gryphons and Gargoyles. Yes, there were moments where Ethel was questionable in past seasons, but she never had any serious animosity towards Betty. The two even worked together on a few occasions. I think sinking so far into the Gargoyle King's world, while also being totally whacked out on drugs, has completely skewed her perception. She's lost touch with reality. In the G&G world, the King wants her with Jughead, so that's all she can see in front of her. 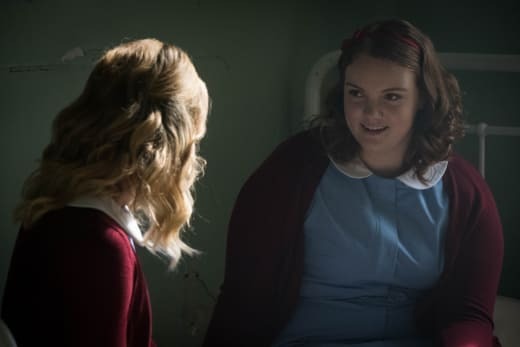 Becca: Remember back in Riverdale Season 2 Episode 18 when Ethel said she was born to play Carrie [White] and the lengths she went to for the chance to play the role. After this episode, that almost seems like foreshadowing. For Ethel playing Gryphons and Gargoyles was the equivalent of discovering she possessed telekinetic powers, and with her newfound confidence, she's more than ready to get revenge on those who wronged her. Ethel's antagonism towards Betty is less about Betty personally and more about attacking what she thinks Betty represents, namely all the people who think they're better than her. Ethel relishing her opportunity to dish it out to someone she thinks only looks at her with contempt. Betty is now a Gargoyle King brainwashed minion. React! Brandon: Who in the hell is going to solve this mystery now? Betty's been our resident Nancy Drew since the beginning; without her, the residents of Riverdale seem way beyond screwed. Who is left to take down the Gargoyle King? No offense, but I don't trust Archie with this task. Betty's friends need to rally and get her back to her original state so she can solve this mystery. Without Betty, there is no hope. Kat: Well, first and foremost, Lili Reinhart's acting is incredible during Riverdale Season 3. She's really selling her story, and if it were someone else, I'm not sure it would be working as well as it is. With that said, I was genuinely shocked (and that doesn't happen a lot to me with this show)! I usually see things coming, but I really believed Betty would never play the game; she would always be the one to ground the group/POV. It was an excellent twist, but I still have faith Betty will save herself from SOQM. She's been through too much to let a stupid game take her down. Becca: This is bad for Sister Woodhouse and her cohorts. 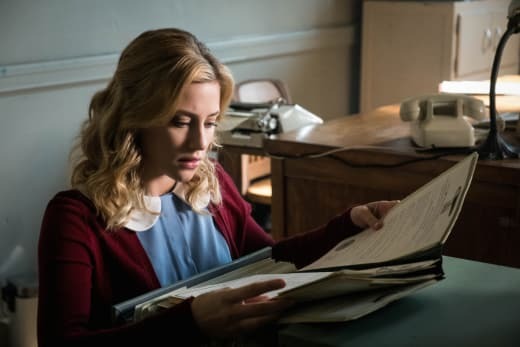 As this episode was great about reminding us, Betty works very hard to suppress most of her emotions and thoughts. The Fizzle Rocks and whatever happened with the Gargoyle King seems to have taken away Betty's inhibitions. With the loss of her self-control, I fully expect Betty Cooper will be taking no prisoners during Riverdale Season 3 Episode 8.